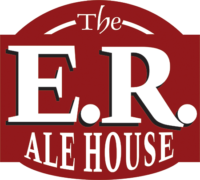 Eagle River Alehouse is the perfect destination for your next night out, whether it be an intimate dinner for two or a large group celebration! We take serious pride in our food and are proud to serve delicious hand made fire rock pizzas, hand pressed burgers, great tossed salads and have TONS of draft beers to choose from. We serve dinner 7 nights a week and have large screen TVs so you'll never miss a game! Don't forget to check us out on Facebook for all of our events and Outdoor Summer Music Series!